Are you looking for marble countertops? Then we will tell you why USA Marble and Granite is the best choice for you. If you are searching marble countertops near me, you should not look further. USA Marble and Granite is the number one supplier of countertops in Fairfax and Chantilly. We provide a luxurious, luminous and elegant ambiance to your kitchen. Marble countertops can be the first thing that your visitors and friends will see when they enter your kitchen or bathroom. The beauty that marble brings comes from the formation of dolomite and limestone. Our company can offer you more than 50 unique colors and designs that you can choose from. We provide very beautiful designs for your home. Our previous projects and clients who have searched for marble countertops near me and chose our company was very satisfied with the results. We have a gallery of marble countertops that you can browse. This gallery shows the actual projects that we have done for our satisfied clients. We have over 20 years of experience when it comes to marble and granite craftsmanship. We only provide the best materials. We also have the best pricing that no other companies can rival. We are working professionally. We have a team that will communicate with you daily to ensure the success of the project. We are making sure that every request that you will make will be granted. We provide a lot of options. If you are not just searching for marble countertops near me, you can also opt to search for granite countertops. We can provide you engineered stones. These stones consist of MSI Q Quart, Silestone, Cambria and Caesarstone. You can browse all of these in our gallery. Our services include the fabrication and the installation of the marble stones. We have an online form that you can use to calculate the amount of the renovation and installation. We know that prices are one of the factors that our clients consider. We will provide you a cost estimate to ensure that marble countertops are in for your budget. So those are the reasons why we are the best company for you. Aside from those reasons, we are an expert in the inspection of the material. We create templates for you in less than 2 hours. We are experts in cutting marble countertops. We are well-trained in polishing and creating smooth edges. We also use artisans and advanced technologies to cater to your needs. Your one-stop shop for all your countertop needs is found in USA Marble and Granite. We combine superior knowledge, quality workmanship and low prices for your needs. We cater residential as well as commercial customers. We have a solid base of satisfied clientele that contacts us everytime they need countertops. We do not only focus on our products, we are also concerned with customer satisfaction. If you are searching for marble countertops near me, give us a try and see for yourself. For more information, visit our website at USA Marble and Granite. 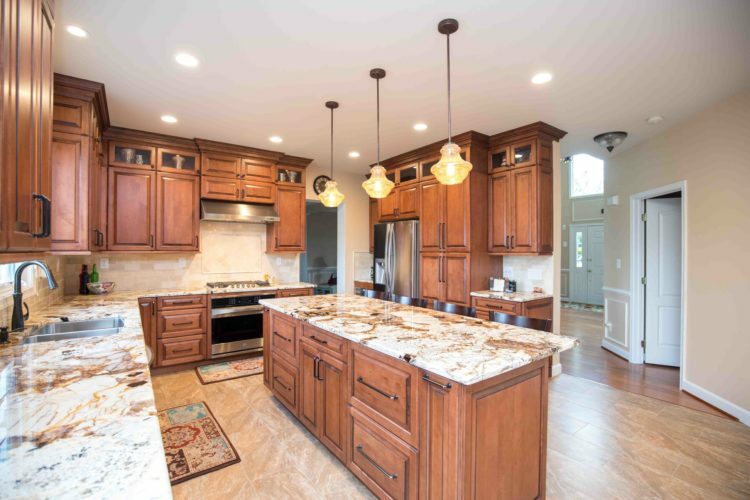 As a direct manufacturer of granite, quartz slab and countertops, there is no middle man between you and us which allows us to offer great value to you. At Grace Stone, we specialize in bringing your vision to life, using a wide variety of granite, marble, quartz and other stone surfaces in an impressive range of colors and patterns that matches our clients budget requirements. Countertops: 108"x26", 96"x36", 78"x36", 96"x25 1/2", 78"x25 1/2", 96"x26"
If you’re in the market for a slab or countertop, please let me know. Great Information, thanks for sharing it’s very helpful for me keep posting like this thanks.